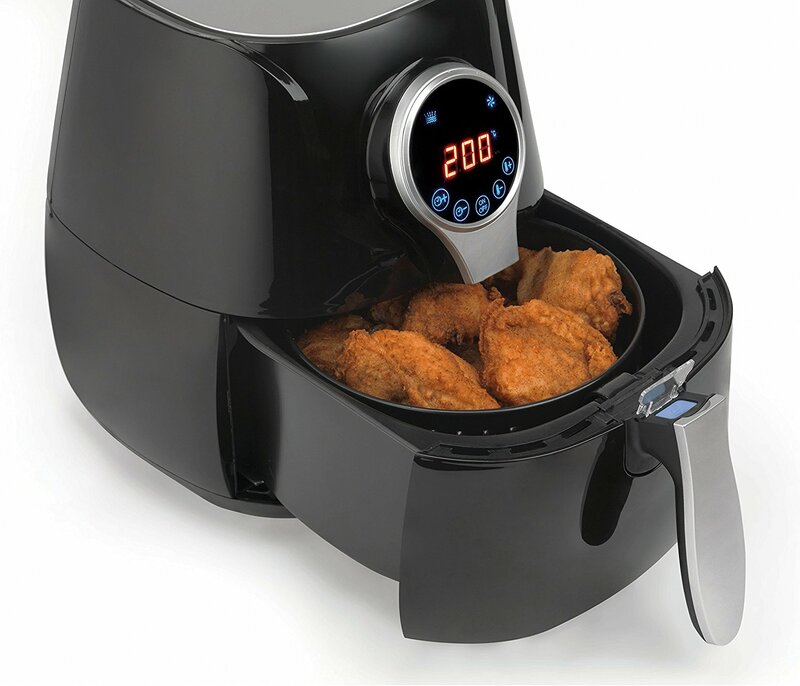 I am a sucker for a kitchen gadget, and was jumping at the chance to try out an air fryer. 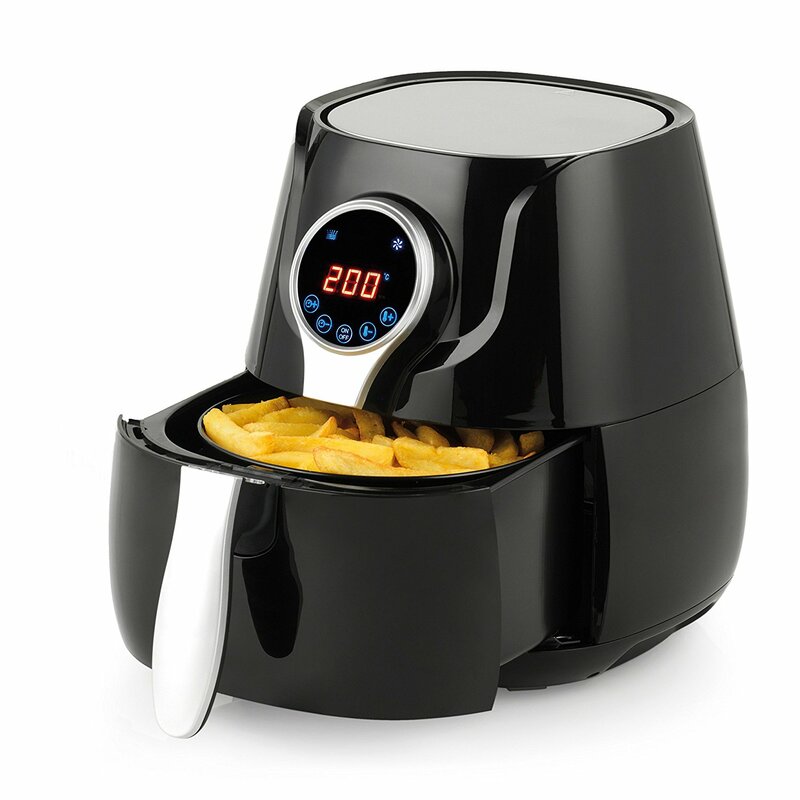 The Air Fryer from Salter is a great little piece of kitchen kit, using hot air to “fry” food, this offers a much more healthier option than frying with fat or oil. No assembly is required, just plug it in and go. 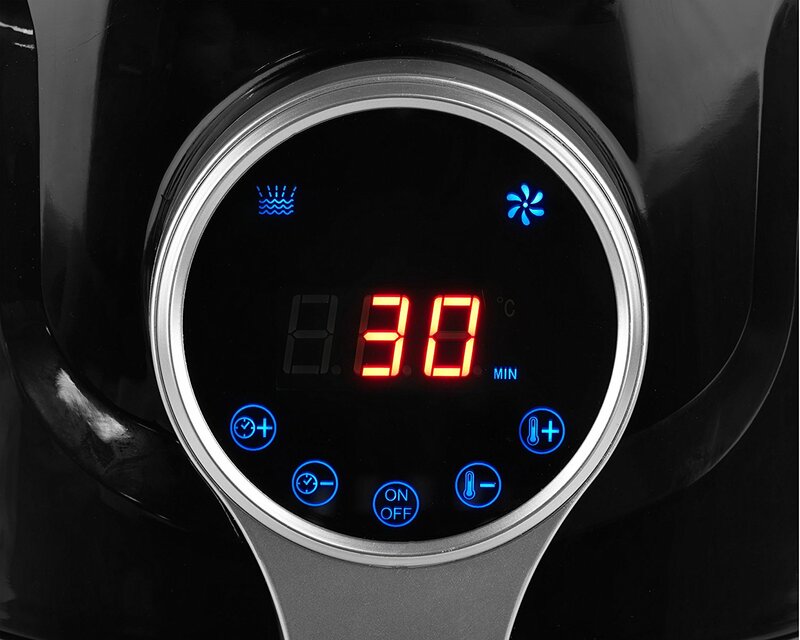 The interface is easy to get used to, the touch screen shows the temperature and switches to the timer in 1 min intervals. The right side controls temperature going up to 200 degrees, while the left allows you set a timer for cooking. The back features an air vent where all the hot air goes out, in testing I would recommend this is pointed into an open space or a window. When cooking this can make the air “smelly” so make sure this is well ventilated. The whole process is very quiet too, and I found I had to keep checking if the air fryer was actually still on. The basket used is a solid metal basket with holes in it, so this means wetter foods are kept safe and won’t fall through, which may happen with a meshier basket. There is also a plastic flap over the release switch on the basket, this means you won’t accidently drop hot food on you. Also when removing the basket the air fryer stops, which is great! This will set you back £76, which isn’t too bad. I have found this has become a massive part of our day to day cooking, and makes our lives a little healthier.